We continuously review our best Home Insurance deals so we can bring you the highest levels of cover at the lowest prices. 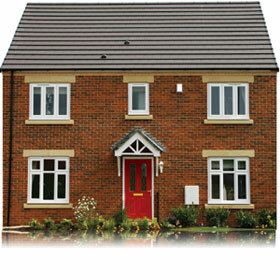 We can quote for buildings and contents cover or buildings and or contents separately. We recommend combining cover in to one policy and that can be extended to cover valuable and belongs outside the house (All Risks). We offer advice and guidance when selecting the right cover, something not available on price comparison sites! To celebrate 30 years looking after clients, we would like to offer you an additional £30 discount over and above our already very competitive low cost Home Insurance prices. We partner many leading insurers including RSA, Legal & General, Zurich, Aviva, AXA, and Ageas to name a few. Our aim is to find you a great policy covering the things you value most, safe in the knowledge, if you need to claim, assistance is only a call away. You will be impressed with cover and the price, if you’re happy we can get you covered on the spot! and quote the reference H30. The £30 discount offer is open to new and existing clients arranging a new policy for a property we have not covered before. Proposers must be over 21. The premium must exceed £120 to qualify for the discount. This promotion replaces all previous and has no redeemable value other than a discount mentioned to reduce the first years annual premium only.